Let me start out by saying that there are many legit bloggers that tell you blogging can take a while to earn money. Now there are those who really know what they’re talking about and whom I totally admire. Jon Morrow is a great blogger and teaches you how to create a website that works and make more money by scaling up a blog. And he knows what he’s talking about. So if you’re one of them, great. However, many of these people – truth be told – are making money off of telling you to blog. As in, they make a commission off you every time you sign up for one of the services they promote on their posts on how to start a blog. Of course, there’s nothing against those who want to make more money (um, hello, I enjoy it myself!). However, some of the services these people promote aren’t great. As in, they’re promoting certain products because the commission is the highest, not because the company itself is great. And here’s another #truthbomb: Many of these bloggers provide tutorials on how to set up your blog only. Do you notice in many of these posts there is no mention of the mindset work or even other crucial things that are actually important to blogging, such as being a good writer and knowing how to connect with the very people you’re writing for? Sure, the barrier to entry is extremely low in that anyone can get up and running in a few hours, and it’s less than $100 a year to initially invest in blogging. There are many that even talk about how theirs grew within a year and are now earning six figures. But having a successful blog can take years. However, is it their first blog? How many attempts have they had beforehand? Or (while we’re calling out people here) are they outright lying? Yeah, it’s hard to think people lie just to make a buck, but they really do. I’ve met so many people who blog about blogging and it’s their first blog (mostly about blogging #eyeroll). It’s those people that make a bad name for all of us. But if you want to connect with people and make a successful living online, having a blog is NOT necessary. In fact, I had a successful business way before I started this blog. My main bread and butter is actually running a content marketing business. As in, I help other businesses write ebooks, articles and even video scripts. When I first started, I had nothing other than a professional email address, a LinkedIn profile and an online portfolio that was free. Just with that, I grew my side business and was able to make more money. So much so that it earned me $20,000 in the first year and doubled it the year after. I eventually created a website because I wanted to look more professional (in that the free online portfolio service was limiting me). Don’t believe me? My friend Louis doesn’t even have a website and leverages his LinkedIn profile to earn over six figures in freelance writing. While Holly Johnson does have a blog, her freelance writing business is separate from it and she earns more than $200,000 (no, that is NOT a typo) a year. The point I want to stress is that while blogging is great, it’s not necessary. Please don’t get sucked into the whole idea of it being the ultimate passive income source and sign up for crappy web hosting services. So many friends of mine got suckered into these services, only to have to switch companies months later. So What Can I Do If I want to Make More Money Online? While you don’t need a blog, you do need an online presence. Sure, you can build a following on social media or a third party platform but you’re kind of at their mercy. Don’t be like the company Little Things that had to fold their business once Facebook changed how people viewed posts. So yes, sign up for a great website hosting service (I use and currently recommend Siteground after my fiasco getting suckered into a crappy company) and just make a website. Don’t blog if you don’t want to. If you want an example, check out my content marketing business. It’s a simple website that showcases what I do, who I work with and a place to contact me for information. That’s it. While it’s a lot of work initially to go get clients (frankly, blogging is a lot of work too), I now rely on a lot of referral business and people stumbling upon my site. Like with anything, look at your personal situation. Why is that you want to create passive income? Are you willing to actually do the damn work (be honest!) to make a living online? Will you put your skin in the game in terms of time and money? It took me five years of hard work to get to I am. And frankly, I started this blog to help others. But I promise you this: I will never promote starting a blog as an easy way to make money. There are quicker (but still requires work) ways to make a buck online. 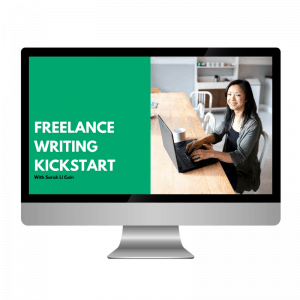 If you’re interested, I created a freelance writer starter kit which shows you the exact steps I did to launch and create a successful freelance writing business. Click here or on the image below to grab the kit. Just have to say that I love the title lol. 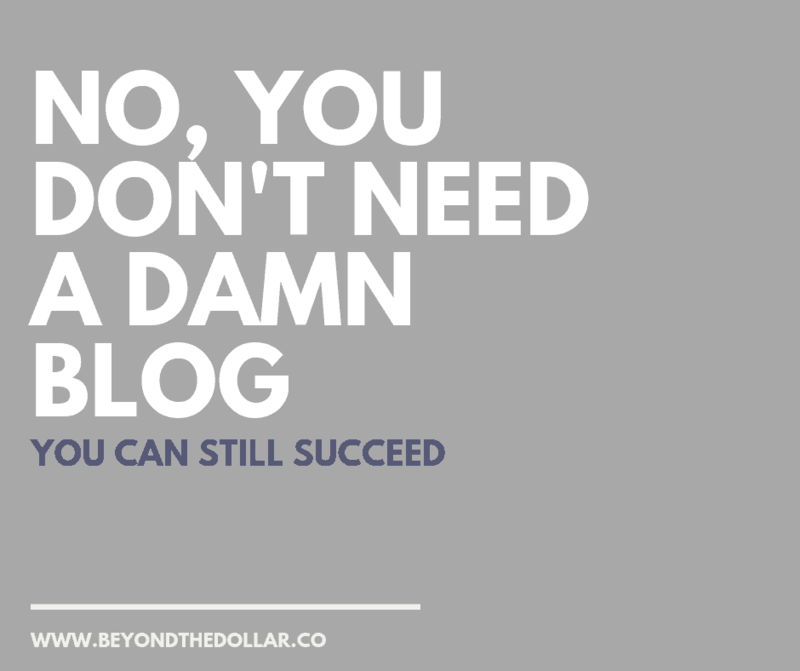 I agree that you don’t need a blog, and I know plenty of people who don’t have a blog that make great money online. I just LOVE blogging, so I do it! haha thanks, I was a bit fired up, can you tell? And I know you love blogging and you’re not one of the sleazy ones, you rock! Blog if you love it. But selling people on the notion it’s going to earn you a living is disingenuous. There are so many other ways to earn money in today’s New Economy that can produce durable income much more quickly. Great perspective (and some much needed truth on the whole affiliate angle)! Always appreciate your perspective Ian! I get so many emails about blogging that I needed to air it out. If you have a blog and your main priority is to get some income out of it then you won’t really enjoy doing it. You should be blogging if you love to do it first and foremost and if you don’t then you should stop immediately. The reason I blog is that I want to tell my financial stories to others so they can learn from my mistakes and some money tips that I provide. Helping others is key for me and although I just started monetizing, I don’t put as higher priority as putting my voice out there. You’re right Sarah, their are so many other ways to make money besides blogging. You have eBay, Etsy, craigslist and so many other online outlets where you can start your own business. I’m not sure I agree about the monetizing part. I think it’s absolutely fine to have the intention to monetize from the beginning. Many super successful people have and still align their interests alongside their audience (I talk a lot about Jon Morrow, but he’s seriously a great example). I think there’s definitely a way to put your voice out there AND make great money monetizing your blog. The issue is when people tout it as the solution and compromise their values/audience interest for the sake of making money. LOL I think I have another post in the works! I agree with this whole thing!!!! 🙂 I mean, how often do we see blogs that their niche is “blogging?” Seriously. Drives me a little crazy. haha it can drive us all a bit batty. To be fair, there are many blogs about blogging that are great and run by super experienced people who know their stuff (like problogger and smart blogger). It’s the ones where it’s their first blog and they’re blogging about blogging, ha! The link for the story of the company that folded due to Facebook changing algorithms is considered “prime” and only for Business Insider subscribers. I love your totally honest information in this post. I started a blog a year ago and I work like a dog on it and haven’t earned a dollar. I’m not giving up though. I am determined that I will find a way to make a living online. Thank you for being honest when so many aren’t. haha, honesty is my middle name! I think you’ll find something, even if it’s not blogging. Good luck! It’s really not compulsory to start a blog. I wish I knew better before I started. That link to starter kit won’t open. Can u fix it please? That link goes to the convertkit page but when you click on the button to get the starter kit nothing happens! This is a great post. 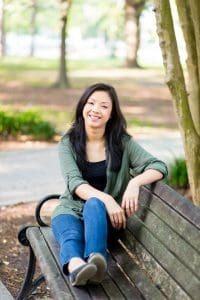 I just started my blog a few months ago. I have truly enjoyed every step, but it does seem like a lot of help out there is pointing to making purchases through affiliate links. I don’t mind this because a lot of those purchases have truly been helpful, but it does make it difficult to determine what is really necessary and what is not. Thank you for your honesty and tips. I especially like the information you provided about freelance writing. I am going to look into freelance writing as a side hustle for my side hustle LOL. Damn it! Why didn’t i see this 30,000 words ago!!!!??? How much arsenic is in apple seeds again?